Vladimir Igorevich Arnold (12 June 1937 – 3 June 2010) was a Soviet and Russian mathematician. While he is best known for the Kolmogorov–Arnold–Moser theorem regarding the stability of integrable systems, he made important contributions in several areas including dynamical systems theory, catastrophe theory, topology, algebraic geometry, symplectic geometry, differential equations, classical mechanics, hydrodynamics and singularity theory, including posing the ADE classification problem, since his first main result—the solution of Hilbert’s thirteenth problem in 1957 at the age of 19. Arnold was also known as a popularizer of mathematics. Through his lectures, seminars, and as the author of several popular mathematics books, he influenced many mathematicians and physicists. Many of his books were translated into English and in Italian. 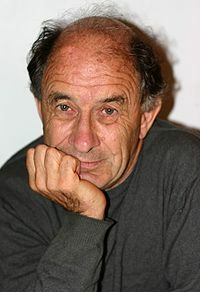 Vladimir Igorevich Arnold was born on 12 June 1937 in Odessa, Soviet Union. His father Igor Vladimirovich Arnold was a mathematician. His mother was Nina Alexandrovna Arnold, an art historian. When Arnold was thirteen, an uncle who was an engineer told him about calculus and how it could be used to understand some physical phenomena. This contributed to spark his interest for mathematics, and he started to study by himself the mathematical books his father had left him, which included some works of Leonhard Euler and Charles Hermite. While a student of Andrey Kolmogorov at Moscow State University and still a teenager, Arnold showed in 1957 that any continuous function of several variables can be constructed with a finite number of two-variable functions, thereby solving Hilbert’s thirteenth problem. After graduating from Moscow State University in 1959, he worked there until 1986 (a professor since 1965), and then at Steklov Mathematical Institute. He became an academician of the Academy of Sciences of the Soviet Union (Russian Academy of Science since 1991) in 1990. Arnold has initiated the theory of symplectic topology as a distinct discipline. The Arnold conjecture on the number of fixed points of Hamiltonian symplectomorphisms and Lagrangian intersections were also a major motivation in the development of Floer homology. Even though Arnold was nominated for being awarded the 1974 Fields Medal, which was then viewed as the highest honour a mathematician could receive, interference from the Soviet government led to it being withdrawn. Arnold’s public opposition to the persecution of dissidents had led him into direct conflict with influential Soviet officials, and he suffered persecution himself – even though not a dissident – including not being allowed to leave the Soviet Union during most of the 1970s and 1980s.